All restored photographs are provided on CD as well as prints. You can send your photographs to us through the post. We will evaluate the cost of restoring your material and contact you. Should you decline our quotation, we will return your photographs free of charge. You will receive a print of your photograph (any size up to 8x12 inch) and a disc containing the high resolution image allowing you to print further copies yourself. You can simply bring your photographs to our studio at Broadstone mill. 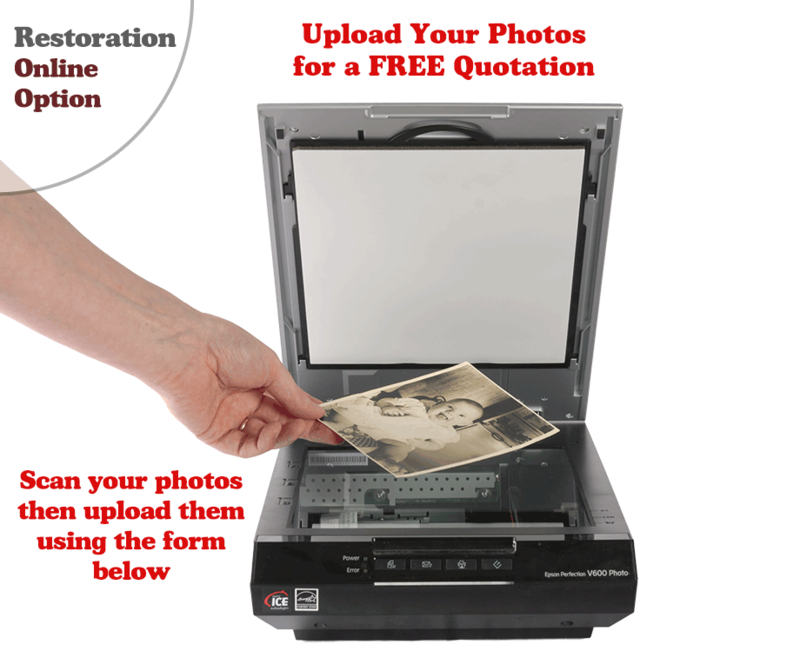 We will assess the cost of restoring your photographs while you wait. Prices start at £5 for a basic repair and discounts are available for bulk orders. You will receive a print of your photograph (any size up to 8x12) and a disc containing the high resolution image allowing you to print further copies yourself. Simply fill in the form above, click Submit, then you can upload your photograph/s. Bring your photographs to our studio at the address below. Post your photographs to the address below. Upload your photographs using the form above. If you choose to post your photographs, please ensure that you have packed them securely. If you choose to bring your order to our studio in person, please take note of our opening times below. Upon completion of your order we will send you a link, via email, to our secure payment page allowing you to pay for your order using debit/credit card or PayPal. Postage and packaging is FREE on all orders priced at £10 or greater. An additional £3 is applicable to orders less than £10 in cost. 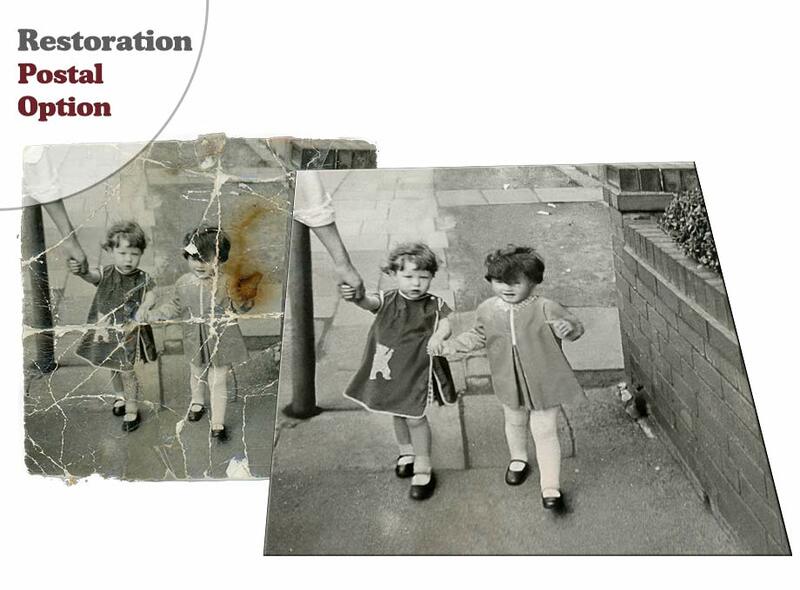 If you have any questions regarding our photo restorations service, please enter them in the box above. 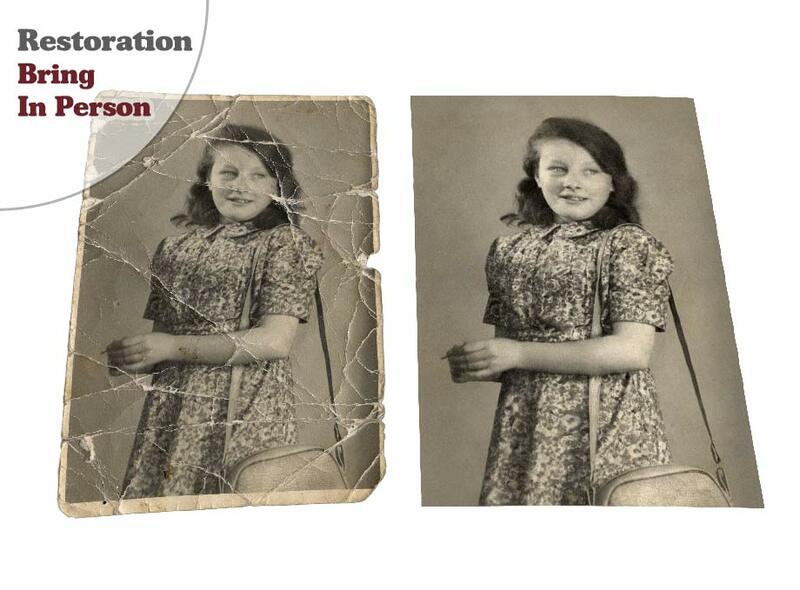 Damaged photo repair - where handling over time has damaged the print. Fixing faded photographs - where sunlight has faded the image. Torn photo repair - where the photo has ripped and may even be in several pieces.